Things are returning back to normal here at the Real Food house. If you don’t follow me on social media (Facebook, Twitter, Instagram) then you might not know that Local Hubby and I both stood up in the amazing wedding of dear friends. The wedding was at The Henry Ford Museum and the whole thing was amazing. The food was awesome, they even had a sliders and Better Made chips station late in the evening. 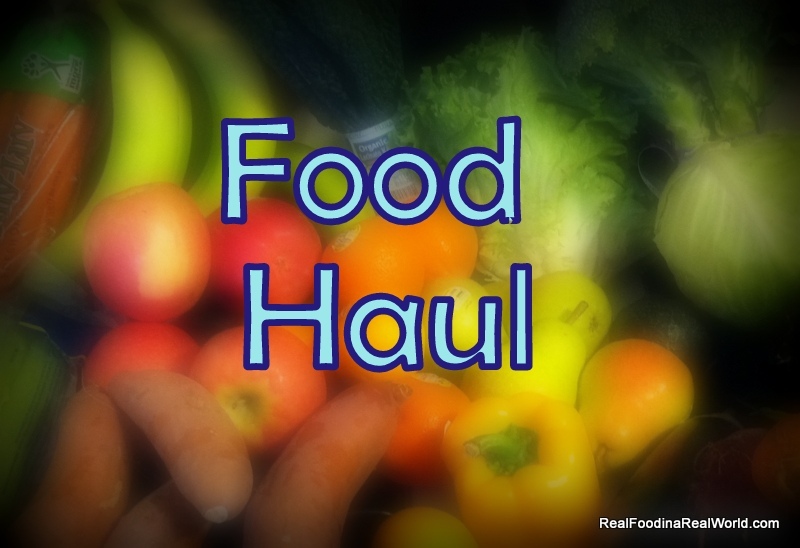 For food this week, we just have Door to Door Organics. Trying several new (to me) things this week. 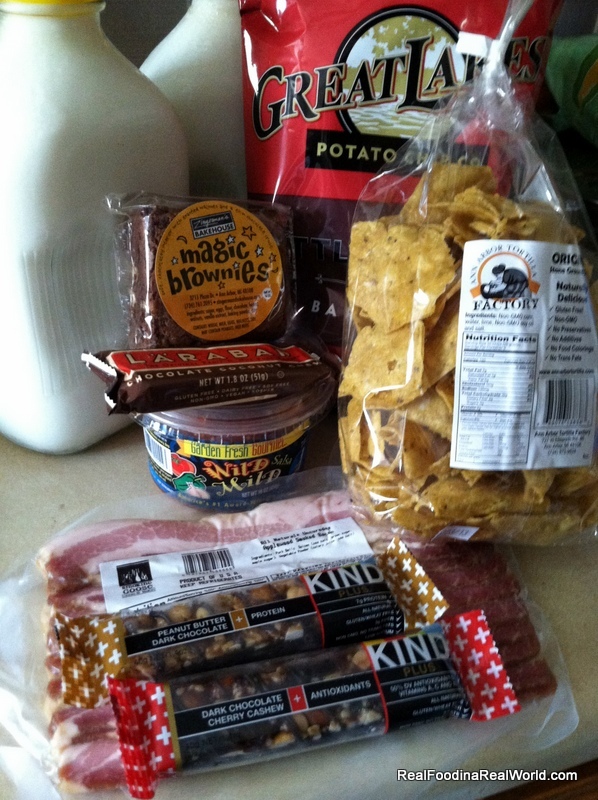 The usual Calder Dairy milk, Smoking Goose applewood smoked bacon and a Zingermans brownie. The new-to-me goodies are Garden Fresh Wild Mild salsa, two flavors of Kind bars, Chocolate coconut Larabar, Ann Arbor Tortilla factory tortilla chips and Great Lakes Potato Chip Company BBQ chips. This weeks co-op freebie was strawberries. 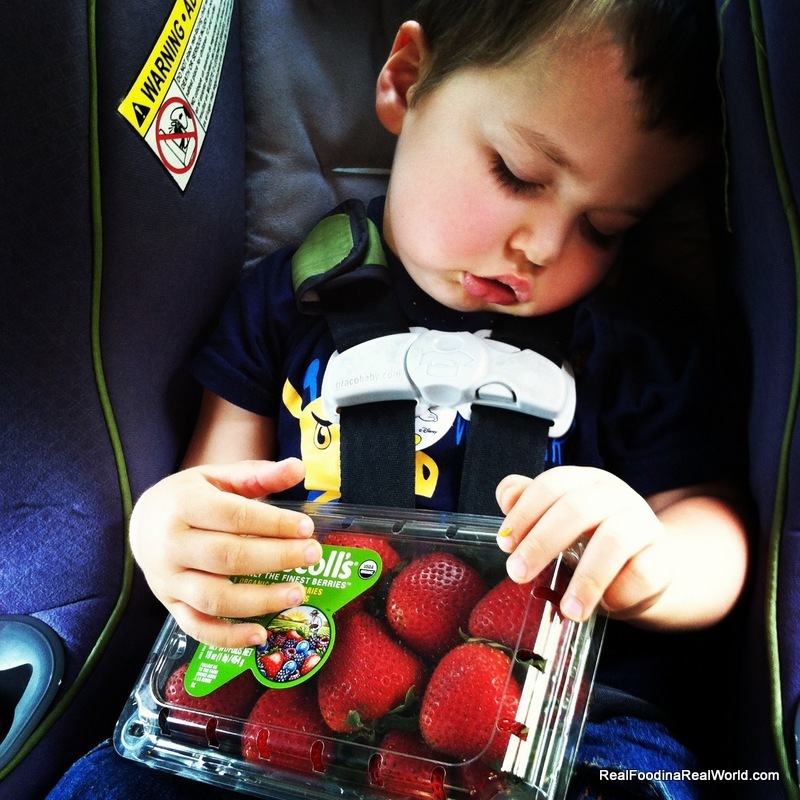 Local toddler was really excited, but he just couldn’t stay awake on the ride home to have a snack. 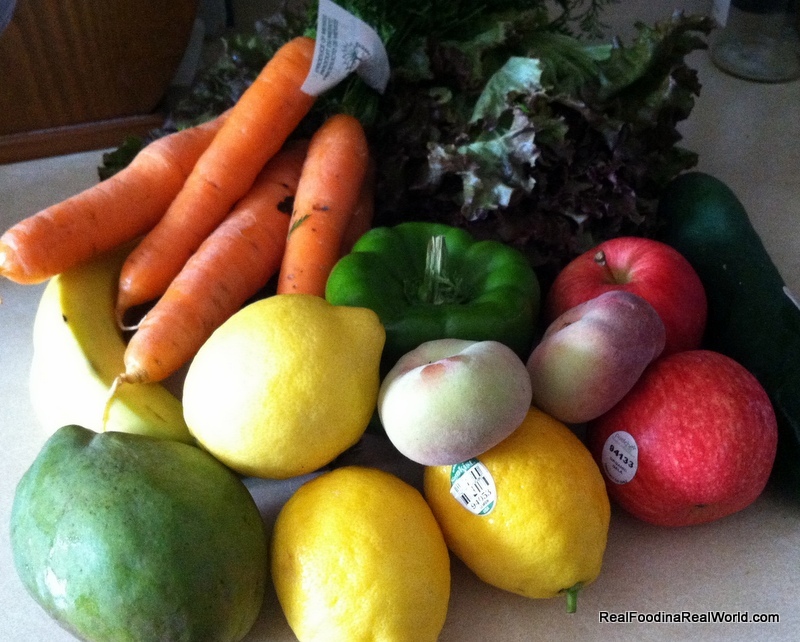 This weeks food cost was $51. So you can just go to D2D anytime and pick up your own goodies? I’m part of their Wednesday warehouse co-op so instead of my box coming to my house I pick it up at the warehouse. They have set pick up hours, I *think* mine is noon-6pm but I’m not positive. It’s awesome, they give you a couple dollars discount for participating in a co-op. people set them up at workplaces, schools etc. Super interesting.. How do you get into that? That sounds great because I always feel like I want more or different things after I get my box weekly! On the website they have a section for co-op. next time I get to my computer I can post a direct link. You pick the co-op you want to join and they will let you know when you have been transferred. It’s really nice. You can also skip a week if needed and have it delivered to your house instead if you know you won’t be able to make pickup. For the warehouse co-op they sometimes have a freebie pile of leftover produce (this week was strawberries). All the employees are awesome, I always have local toddler with me so they carry my boxes to my car. That sounds awesome.. I did see the co-op option, but didn’t know what I was looking for to join one. Will check it out!! Ann Arbor Tortilla chips are AMAZING. I particularly love the Lime and Chili Lime flavors. Delish. Ooh, I’m so glad to hear that! I ordered the lime ones for this week. The plain ones were so good, I can never go back to grocery store tortilla chips. New food I tried this week is Spirulina. I’ve been using it in my smoothies to add more B12 and Iron to my diet. Does it have much of a taste?